Held in the majestic Palladium Hotel in the heart of Mumbai, India, the second day of Lakme Fashion Week was an absolute riot (in the best way possible). 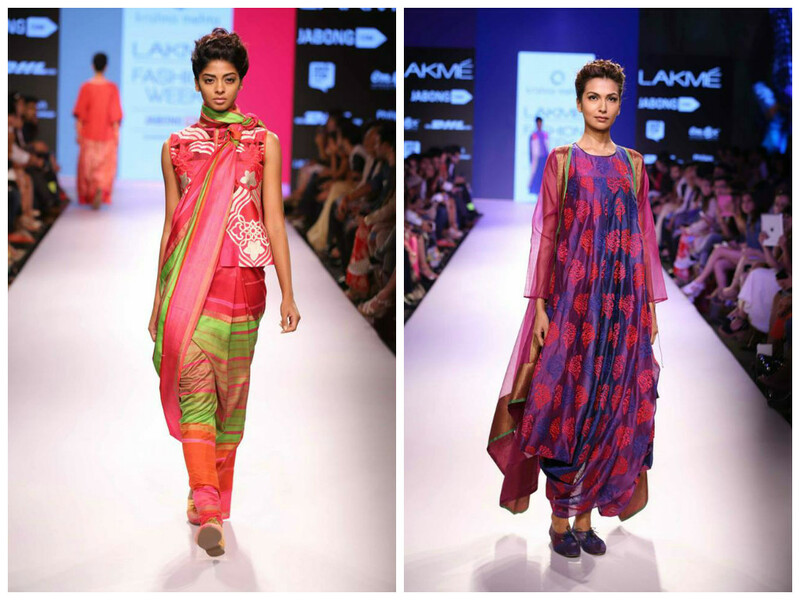 We were given a plethora of bold colours, many unique textures and enough sartorial inspiration to last us a lifetime. 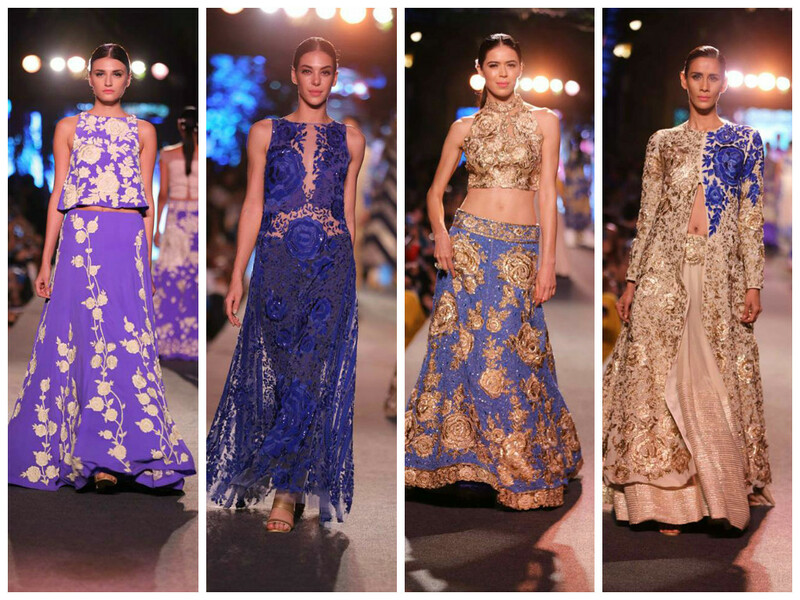 One of the biggest highlights of the day was the Manish Malhotra collection for The Blue Fashion Runway presented by WEvolve. 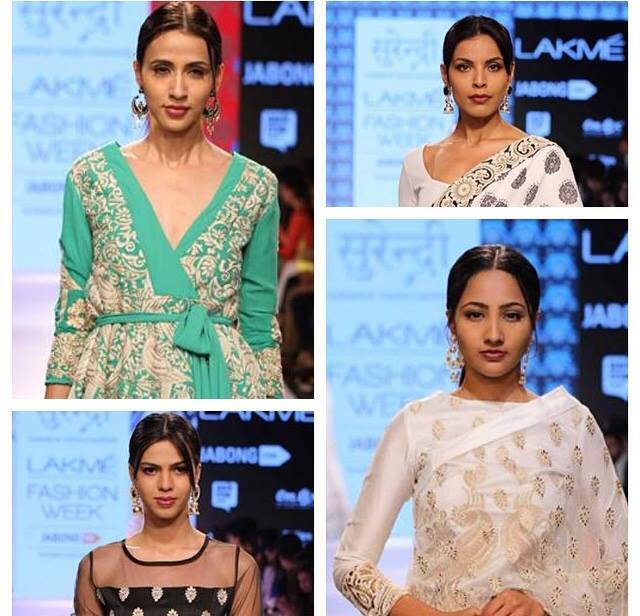 As the name suggests, this collection was centred on regal hues of blue and further accented with bold ivory tones. This colour palette, combined with sophisticated floral motifs, resulted in a collection that was absolutely mind-blowing. Better yet, The Blue Fashion Runway represented a large step into fashion for a cause. The collection and show were crafted to send a strong message about gender inequality and violence to the audience. What better way to empower women than by making them look like nothing less than royalty? Another defining moment was the Krishna Mehta collection, which featured rich and colourful garments inspiring by Indian handlooms and traditional fabrics. Bright colours and local fabrics are absolutely perfect for the summer, so this collection was a big winner in my eyes. My favourite garments were the white ankle length jackets that would look absolutely stunning over vibrant maxi dresses. Another favourite was the Indian take on the peplum trend by pairing it with sari-style drapes; I can definitely see this trend coming to life on the streets. Now, Yogesh Chaudhary has been the talk of the town for a while, frequently referred to as a “designer to watch out for.” His claim to fame has been his contemporary take on traditional Indian wear and he proved his talent yet again with an awe-inspiring collection that is absolutely perfect for the modern Indian woman. This collection combined the clever use of Indian motifs with different textures, unexpected colours and out-of-the-box silhouettes to create traditional wear that truly makes a statement. I fell head-over-heels in love with a stunning white and gold sari that screamed chic like nothing else. I also loved the black and white wrap tops paired with trousers in an identical print. I could totally imagine wearing that ensemble to work! Another favourite was the sea green sari paired with a white blouse featuring delicate embroidery – beautiful does not even begin to describe it! Plus, the pastel colour is absolutely perfect for the summer season. It must be said that this year, the GenNext designers pushed the limits of creativity and created the kind of fashion that is bold, breathtaking and beautiful. Notable sightings included a male model in a skirt at Manish Bansal and an entire Zen-inspired range at Priyanka Lama. What was your favourite collection, fashionistas?